Cycling is another popular form of transport used to get to and from the venue. In terms of bike hire there are several Santander Cycle Hire stations located in Islington should you wish to rent one. London benefits from several airports, including City Airport with trains going directly to Bank, Heathrow Airport with trains going to Paddington, Stansted Airport with trains going to Liverpool Street and Gatwick Airport with trains going to Farringdon (which is the best station to get to the BDC) and Victoria. There are many ways to get to the venue including the use of both buses and both the London underground and overground. The nearest tube station Angel, is a five minute walk away allowing you to travel to the Central London within minutes. Just a little further in the opposite direction is Highbury and Islington with great underground and overground connections. Please click here for the journey planner to plan your trip. 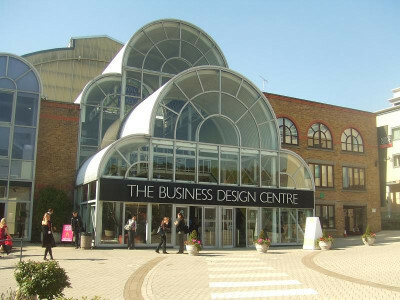 Driving to the venue is simple as the BDC is located just outside the congestion charge zone on the A1. Please see their Parking page for details of how to direct your sat nav and to pre-book your parking. Facilities for disabled and electric vehicle charging. There are many bus stops near the venue which cover several routes in and around London. Please click here for the journey planner to plan your trip. Holiday Inn Express London - City - 275 Old Street, London EC1V 9LN (4 min walk from Old Street station) - Quote the code 786855260 when searching for availability by entering it in the field marked "Corporate ID". This field is viewed in the 'More Options' menu when booking. The discounted corporate rate is subject to Availability and includes a Double/Twin Bed Room, Free WiFi, Hot Express Breakfast and use of a Handy smartphone for Unlimited Complimentary Calls to USA, France, China, Germany, India and Italy. The City branch is a 12 min walk from CodeNode and Liverpool Street station. The Hilton at Angel - 53 Upper St, London N1 0UY - is just next door to the BDC, and offers affordable rooms on Upper Street, a vibrant area in London. Click here to receive 15% off the Best Available Rate (subject to availability).